From five enormous, technologically-advanced cities, the Greaters rule over the Lessers. 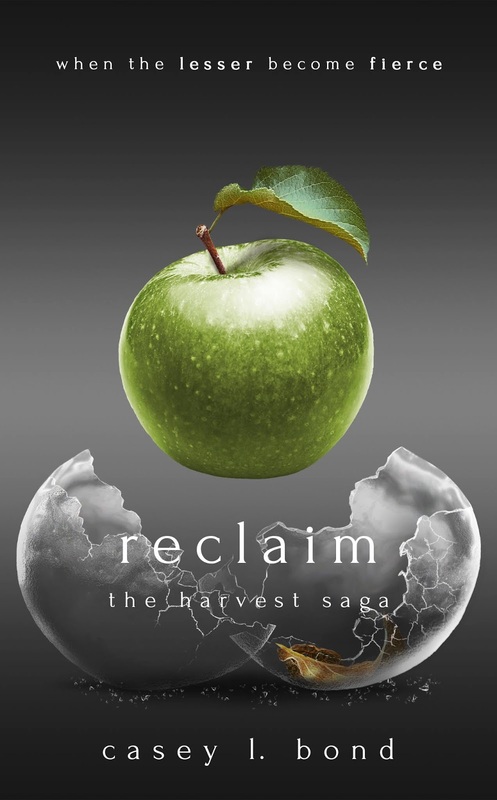 In the Lesser village of Orchard, things are not as perfect as Abby Kelley thinks they are. 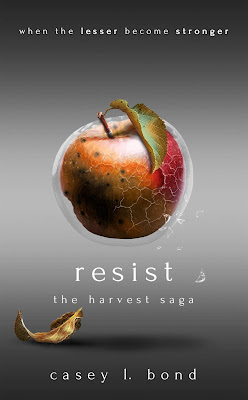 When the apple harvest draws near and the Greaterâs engineered fruits become too much for one village to handle alone, reinforcements from neighboring villages are called upon. 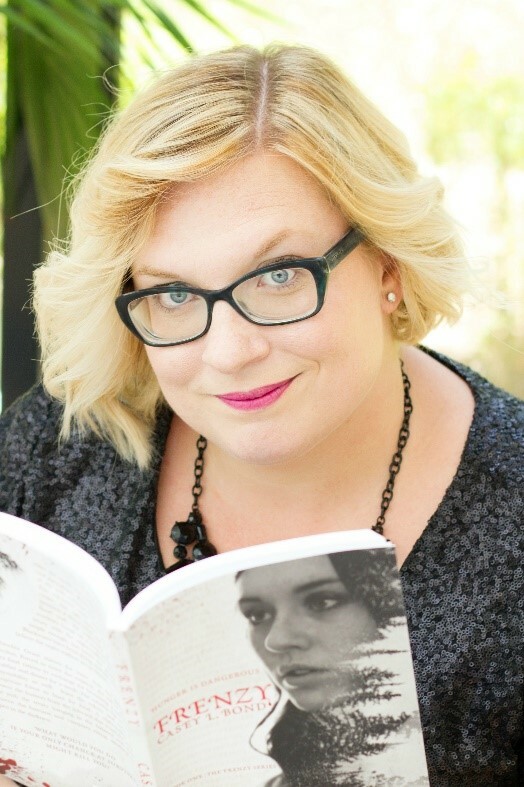 Abby Kelley returns home from the Greater city of Olympus to find that things in Orchard Village are bad, very bad. The Olympian Guard has taken over village affairs. The Lessers are being worked to the bone in the coldest winter Orchard has seen. Villagers are being dragged away for the slightest indication of what they call âresistance.â She needs to keep her head down and her mouth shut. But, itâs so hard to do when everything within you screams rebellion. Kyan is coming on strong, trying to convince her to take a chance on him. Shocking news of Crewâs activities in Olympus sweeps through the Villages. When Abby is taken away by the Olympian guard, Kyan sends word to Vesuvius for help. But, no one could have predicted their idea of help or what they might expect in return. Who will be left to pick up the pieces of Abbyâs heart? The Greaters have ruled over the Lessers since The Fall. Theyâve taken Abbyâs family. Theyâve taken her friends. Theyâve taken her hostage and threatened the villages. 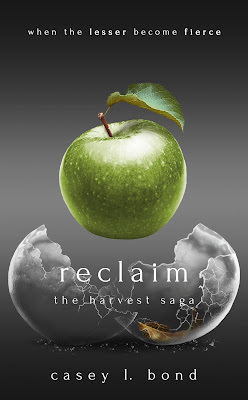 Reclaimâ¦the epic conclusion of the award-winning Harvest Saga. A SLAM JOLTED ME OUT of my slumber. Another bang echoed in the front of the cabin, and footsteps hurried to my door. I didnât know how long Iâd slept, or if it was still daylight, but I was still tired and wanted to retreat back into the sweet abyss again. My door opened, and I turned my head to see my aunt standing in the doorway. âWhat happened, Abby?â She rushed over. I tried to push myself up, but my back was so stiff. The skin even felt stiff. How was that possible? I winced. âStay down. Let me see.â She gingerly lifted the back of Kyâs shirt and peeked underneath. The fabric slowly peeled away from my skin where the bandages Evelyn had applied didnât quite reach, or had shifted, and it felt like part of the wounds tore open again. A hiss escaped from between my teeth at the same time a curse flew from her lips. âEvelyn sent more salve. She said that your body would absorb part of it and that more would have to be packed in.â Lulu helped me sit up and, one by one, I unbuttoned the shirt and again pried it away from my back. The only portion not torn to shreds from the fifteen lashes was the part my bra had covered; although, by the last lash, it only hung on by a thread. âEvelyn came to the depot. She said youâd been injured and gave me the medicine and salve. I had no idea. Did Norris do this?âAll I could do was nod. Lulu took my shirt as I laid back down on my stomach and tried to remain as still as possible while she packed my wounds. Having left the room, I could hear her banging around in the kitchen before she returned with a steaming mug containing more of the special tea. I gulped it down, hoping it would help numb the pain like it had before. When my head hit the pillow, I fell asleep almost immediately. Something was touching my face, caressing my cheek. The skin that brushed mine was rough, hardened by the work we all shared. Am I dreaming? I waited, trying to see if it was real or part of a dream. Whichever it was, it was nice, comforting. Rough fingertips moved over the parts of my back that werenât split open and packed with gunk. I sucked in a breath and held it. It was real. I moved my head and saw his silhouette against the candlelight flickering in from the kitchen and living room. âKy?â My voice was raspy and barely sounded like my own. Sleep and exhaustion filled every chord. âShh. Iâm here.â Suddenly, I was very aware I was lying shirtless on my bed. Even though I was on my stomach, that didnât help me feel any less naked in front of my best friendâwho happened to be a member of the male speciesâa very fine specimen according to my girlfriends.I knew he was handsome. I wasnât blind. But I didnât see him like that. 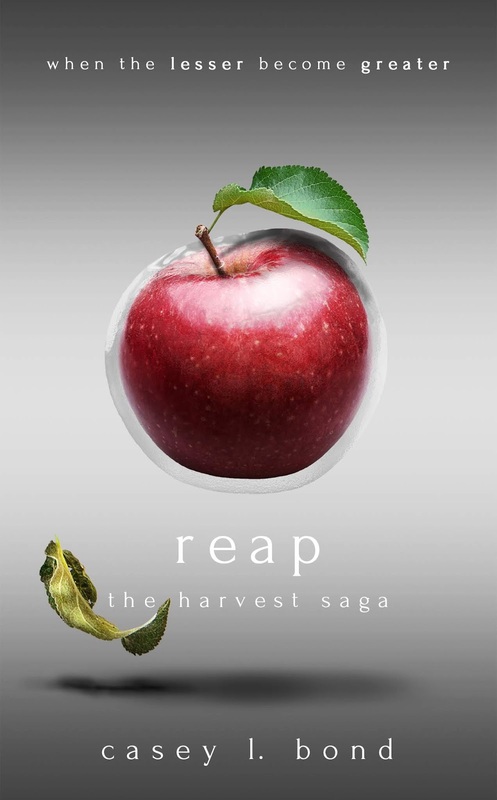 Heâd dated many of my friends and was getting ready to marry Paige Winters after the harvest was complete and the orchards picked bare. His fingertips traced the intact skin between my shoulder blades, and I tensed under his touch. Heâd kissed my head and temple and hugged me more times than I could count, but that was different; it was more intimate. His touch was delicate, gentle compared to his normal strength, and anything but playful. âKy?â He didnât answer. His fingers explored my back, careful not to stray too close to the wounds streaking across my skin. âKyan?â âShut up, Abby. Just let me... Just shut up.â Heâd never talked to me like that. His voice was raspy, and heâd never, ever told me to shut up before. So I did. I wasnât sure why. He shouldnât have been touching my skin. Shouldnât have been caressing the good parts left; but, sitting with me in the dark, he was doing exactly that, and I was allowing it.